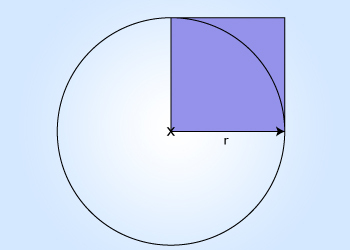 Area of a circle of radius 'r' = πr2. The shaded region is a square of side 'r', whose area is r2. Therefore, area of the circle is equal to π times area of the square. Pi and 22/7 are not same! In Geometry, we know that the ratio of the circumference of a circle is a mathematical constant. It is denoted by the lower case π, the 16th letter of the Greek alphabet. It is spelt as 'pi'(not to be confused with its homonym pie!). Its counterpart, the upper case Π, is used to denote the product of a sequence. So by definition π = C/d. We can also define, the ratio of the circumference of a circle to its radius as 2π. 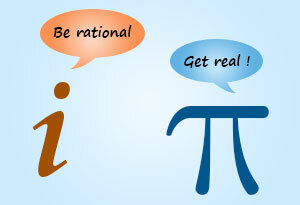 Pi is an irrational number which cannot be expressed as a ratio p/q where p and q are integers. Hence it's decimal representation is never ending nor there is a regular pattern to it. Pi upto eight decimal places is 3.14159265. A mnemonic to remember it is the number of letters in the words of MAY I HAVE A LARGE CONTAINER OF COFFEE? Pi corrected to hundredth place is 3.14. But in most mathematical calculations, where accuracy is not that important, it is approximated to a rational number 22/7. The actual value of 22/7 is 3.142857 142857 142857 ..... Note that after the decimal 142857 will be recurring. A mnemonic to remember it is the number of letters in the words of HOW I WISH TO PRESERVE SWEET MOMENTS! 22/7 is most often truncated to just 3.14. So 3.14 is only an approximation of both π and 22/7. But strictly speaking, 22/7 is greater than π as it has the digit '2' in the 1/1000 place where as π has '1'. 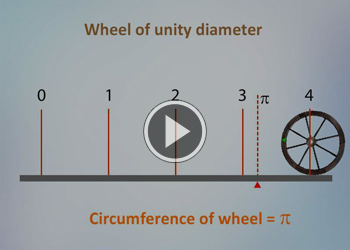 The upper limit of 22/7 has perhaps led to the popular misbelief that π is equal to 22/7. Some refer to π also as Archimedes constant. 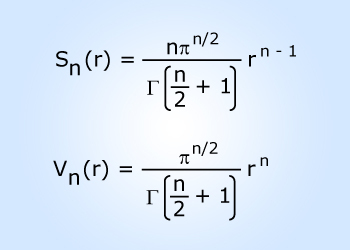 General formulae for spheres The general formulae for the surface area and volume of n-dimensional sphere are given by Sn(r), Vn(r) respectively, where 'r' is the radius of the sphere. Note that in the above formulae is called gamma function which is an extension of factorial function. 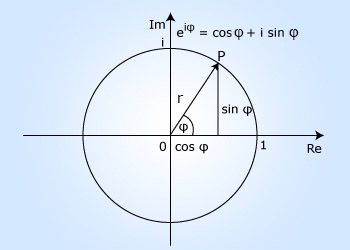 Since π is closely related to circle, many formulae in geometry involving circles, spheres, ellipses etc. have π in them. 'i' is the imaginary number. where e (a constant equal to 2.718 .....) is the base of the natural logarithm. By substituting φ = π in the above formula, an unique equation relating the five important constants 0, 1, π, e and i using the basic operations of addition, multiplication and exponentiation is obtained. That is the beauty of Euler's identity! 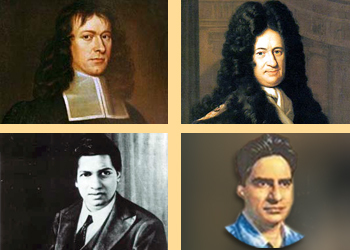 Some important formulae in statistics, number theory, Fourier transforms, mechanics, thermodynamics, electromagnetism, cosmology etc. include π in them. 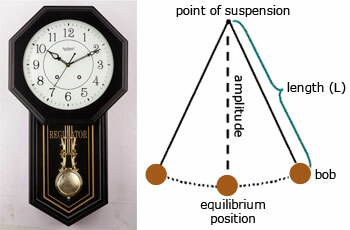 where 'g' is acceleration due to gravity. where &epsi;0 is permittivity of free space. iv) Stokes' law in fluid mechanics gives the force 'F' exerted on a small spherical object of radius 'R' and moving in a fluid with velocity 'v'. where η is dynamic viscosity of the fluid. 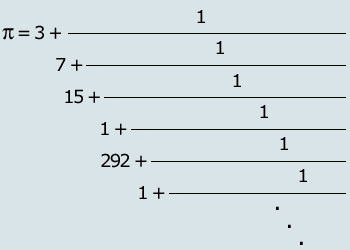 Pi, like other irrational numbers, can be represented by an infinite series of nested fractions as shown in the adjacent figure. Pi is also a transcendental number i.e. a number that is not the root of any non-zero polynomial having rational co-efficients. The circular shape of "pie" makes it often a subject of "pi puns". In a Paris museum, a room is called π-room in which 707 digits of π are inscribed on its walls. 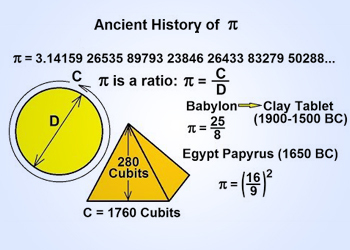 Carl Sagan suggests in his novel "Contact" that God has buried a message deep within the digits of π. In the album "Aerial" by Kate Bush, the lyrics of song "Pi" incorporates its digits. 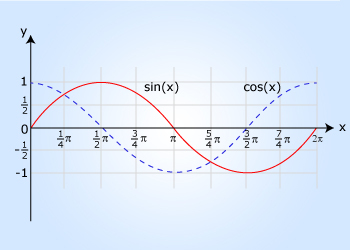 Attempts to use tau, 'τ' = π/2 or 2π by some mathematicians for simplification have not found acceptance. "Life of Pi" is a 2012 adventure drama film based on Yann Martel's 2001 novel of the same name directed by Ang Lee. 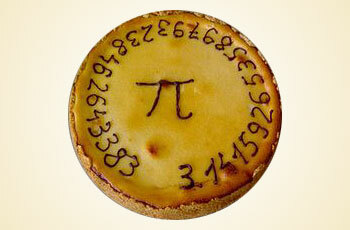 Pi-Day is celebrated annually on 14 th March (3/14 in the US). You'd have to be irrational not to celebrate Pi Day! Especially when there is real pie involved!! Can you decode this ?